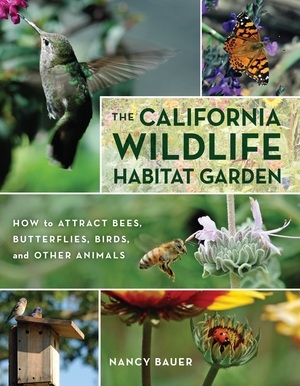 Nancy Bauer is the author of The Habitat Garden Book: Wildlife Landscaping for the San Francisco Bay Region. She is a writer and garden instructor based in Sonoma County. She has taught classes for the San Francisco Botanical Garden, UC Davis Master Gardeners’ training programs, the National Wildlife Stewardship Program, and for numerous garden and nature organizations throughout the San Francisco Bay Area.